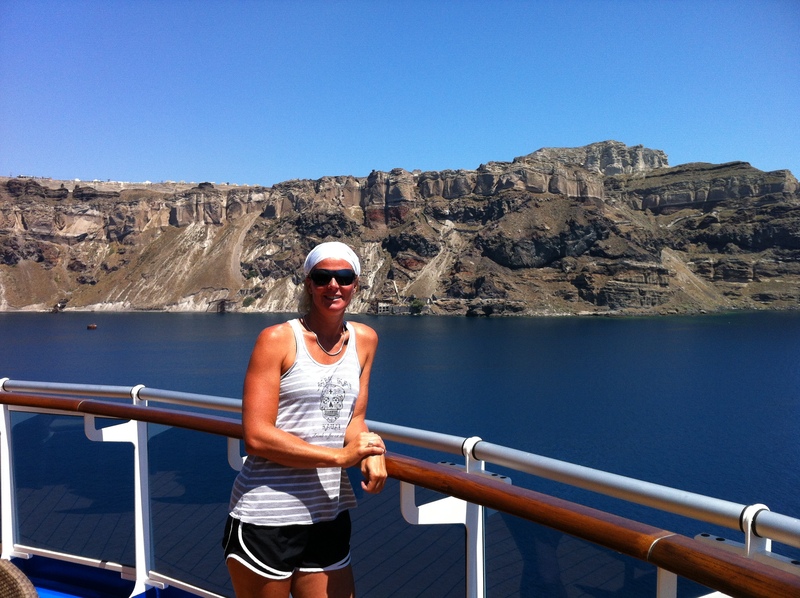 We anchored just off Santorini at 8am this morning. 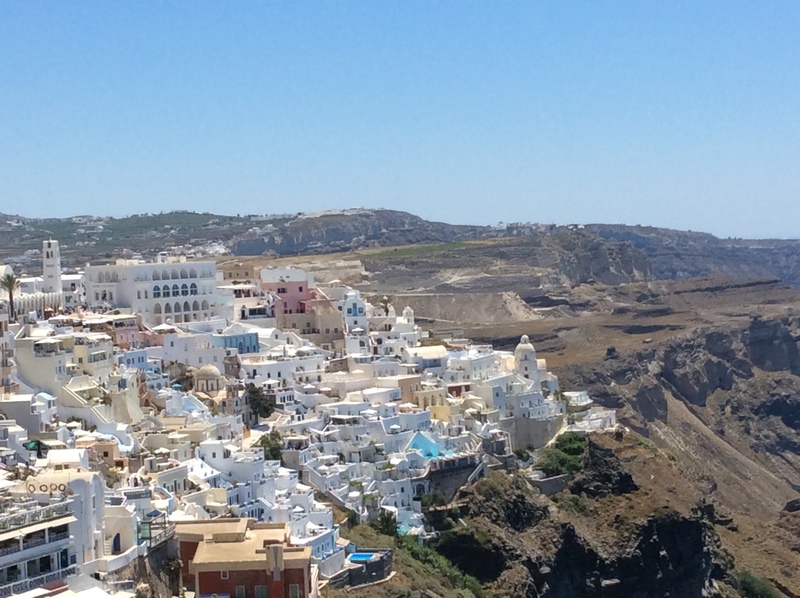 We have been here before but it is still a wow experience looking up at the white washed buildings perched up on the cliff. 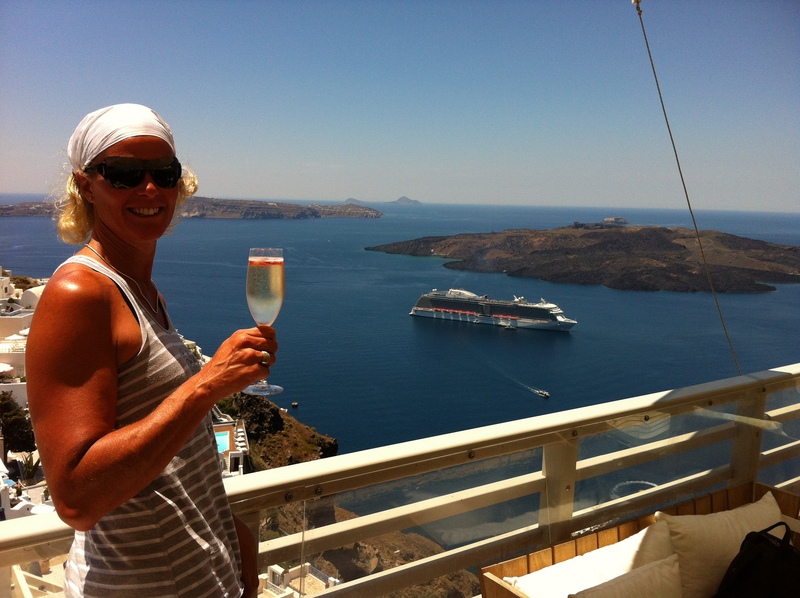 We took the tender boat ashore and then caught the cable car to the capital of Santorini – Fira. 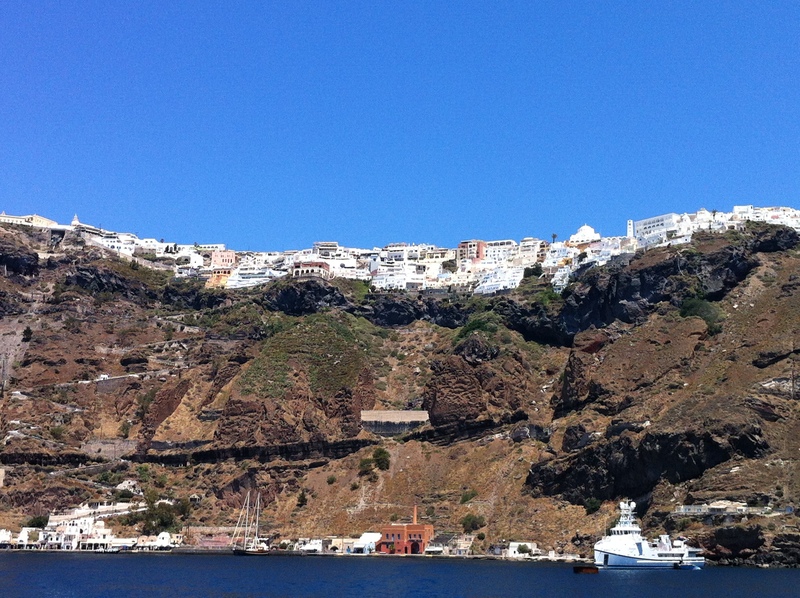 Fira has all these narrow, cobblestone lanes filled with colourful shops. 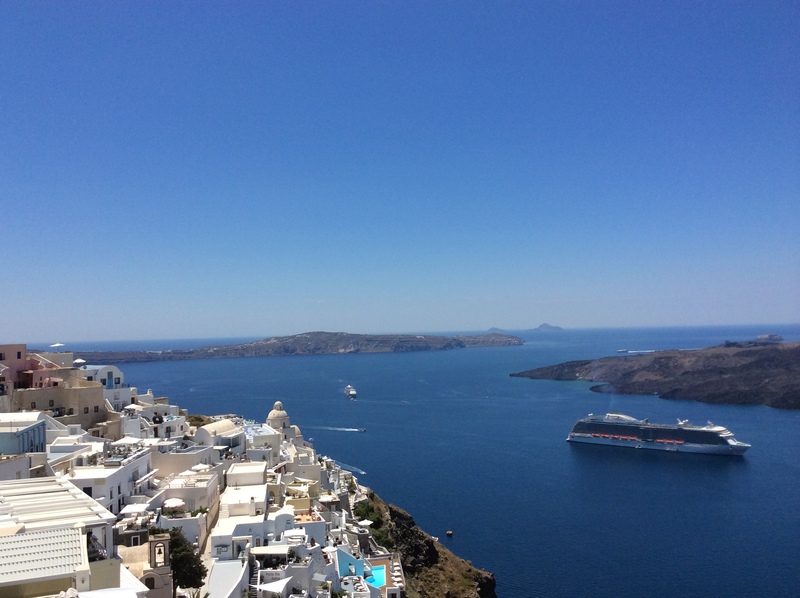 Along the way you get these amazing views over the bay and over the brilliantly white washed buildings, shops, cafes and blue domed churches. It is quite a unique landscape. 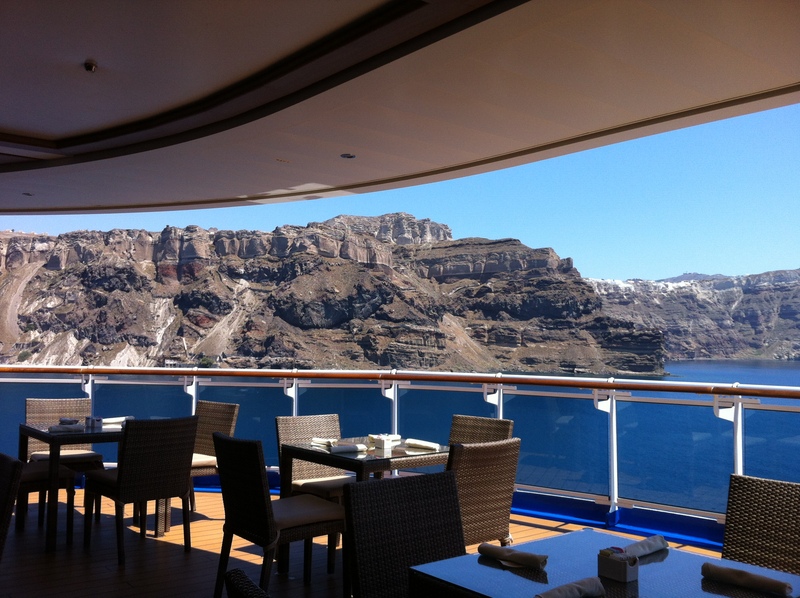 We then ventured to a roof top cafe that had amazing views over the bay – it was good to have a birds eye view of our boat. 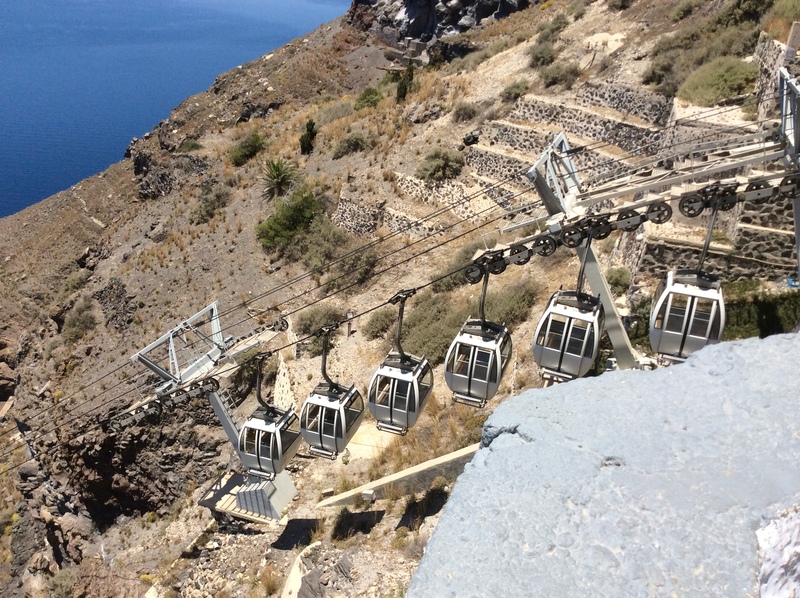 We then re traced our steps and caught the cable car back down to the bay where the tenders were leaving from. 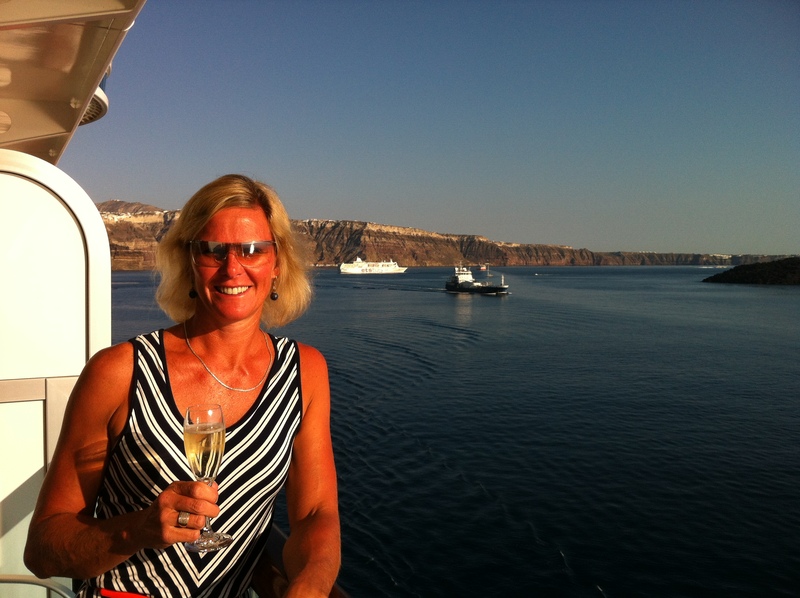 We spent the rest of the day relaxing on the boat before enjoying some champagne on our deck as the boat up anchored and headed for Turkey. It was a stunning evening – certainly one of the most picturesque places in the world.